While walking through the fabric store the other day I came up with an easy short cut to making chandelier style earrings. You know that beaded trim you can buy in the notions section? Just find some you like and ask for a sample... usually they give you a 3 -4 inch section for free, which is plenty of beads for this project! All told, this project from start to finish should take you about 20 - 30 minutes. 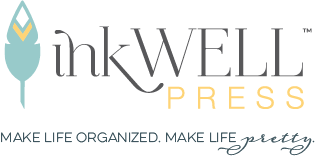 Even if you've never made jewelry before this is a simple project. And the total cost? Less than $4. I forgot to take a picture of the crimp beads, but those are available in the same section of your craft store - in the jewelry department. 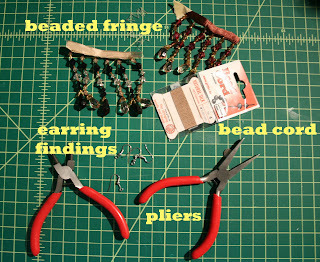 You don't need fancy jewelry pliers for this project... just grab the ones from the garage. 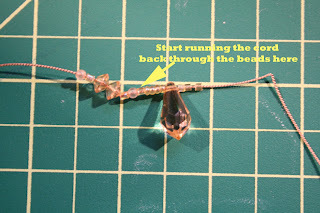 First take your beaded fringe and figure out exactly how long you'd like it (keep in mind that the earring finding will make it hang lower so take that into account). Once you've decided on a length, just snip off the beads with scissors. Once you get through all the beads, bend the cord and go back through the beads a 2nd time in the opposite direction (this should make the triangle which holds the tear drop bead in place). When you get through all the beads (including the crimp bead) and are back at the top, you are going to loop through the small opening on the earring finding. Bring the cord through the crimp bead for a 3rd, and final time. Tighten the cord so the beads fit snugly together and pinch the crimp bead with your pliers. Just repeat to make the matching earring and that's it.